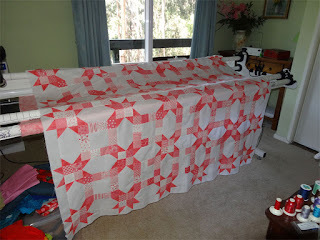 I Quilt, Therefore I Am: Quilt 55 - Asta's Strawberries and Cream - DONE! Quilt 55 - Asta's Strawberries and Cream - DONE! 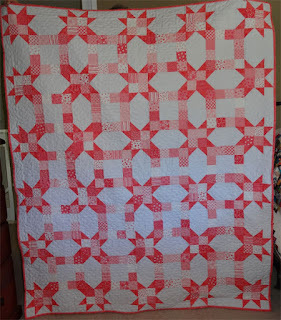 A couple of weeks ago I told you about going shopping with 11-yr old Asta (daugher of a good friend) with the aim of finding materials to make the quilt her mother commissioned me to create. Asta is a sweetie, and I thoroughly enjoyed that shopping excursion. 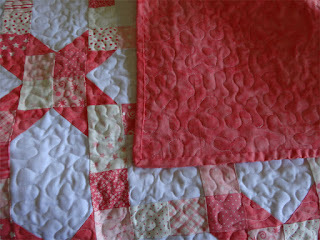 She chose a quilt kit, one of those offered by "Patchwork with Gail B". 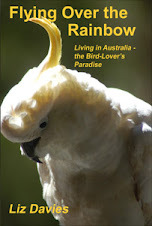 I've done a few of their kits and have found them to be truly enjoyable projects. This one lived up to that, and then some, because with every step, I was really enjoying imagining Asta's face when I'd deliver the quilt. Much of the design involves sub-dividing charm squares (Moda fabrics). 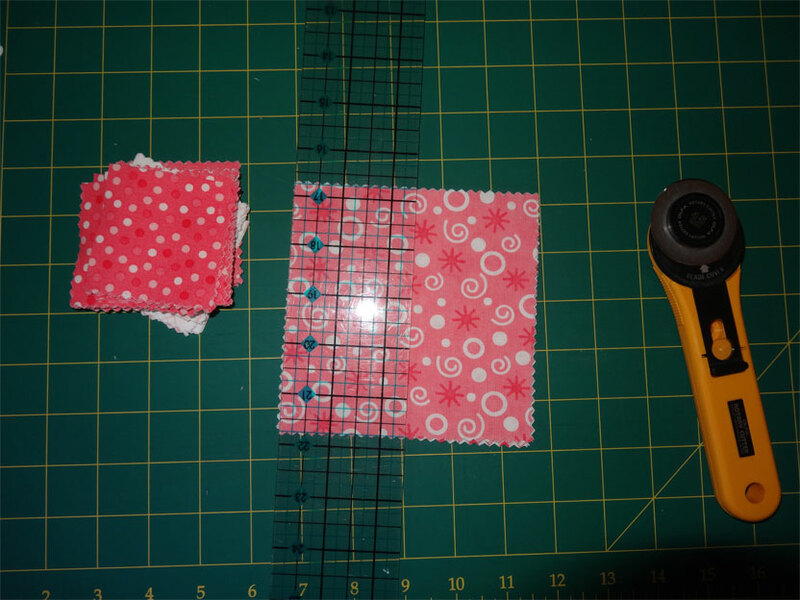 And here we go, cutting the squares into quarters. All one with the squares now - 360 2.5" x 2.5" squares - a bit of work this! 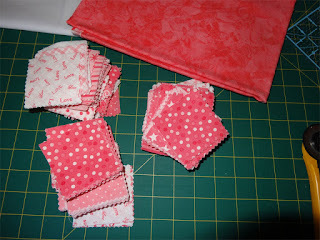 The solid pink you see in the photo below will be the backing - and the quilting will be done with snow white thread. Now assembling the squares and integrating rectangular "snowball blocks". 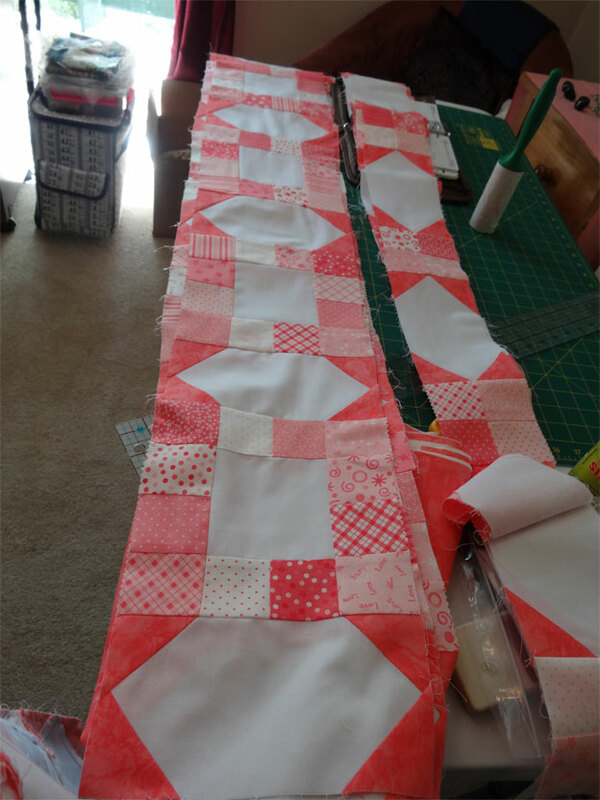 Even with so many little pieces, this quilt was coming together very fast! 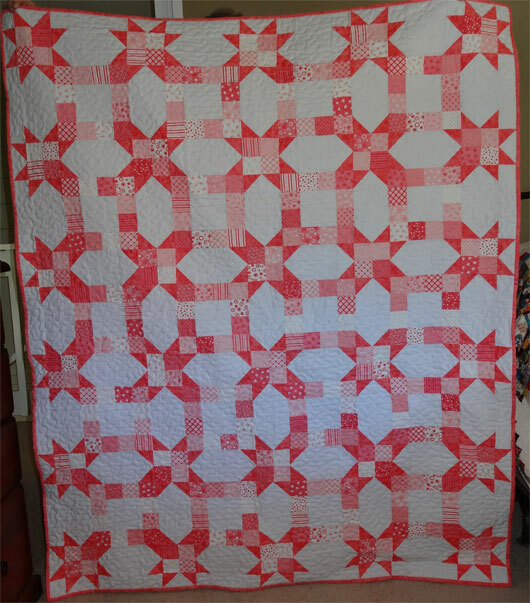 Top pieced, and ready to quilt! There are 711 pieces in the top. Whew! And here's the finished top! It turned out terrific. I was very pleased. More importantly, Asta just loves it. The delight on her face was worth every stitch. She grabbed that quilt and made a bee-line for her bedroom, where she spent a little "private time" with her treasure while her mother and I chatted over a "cuppa". I think Asta said "thank you" about 30 times - and I'm just delighted that she's so happy with it. 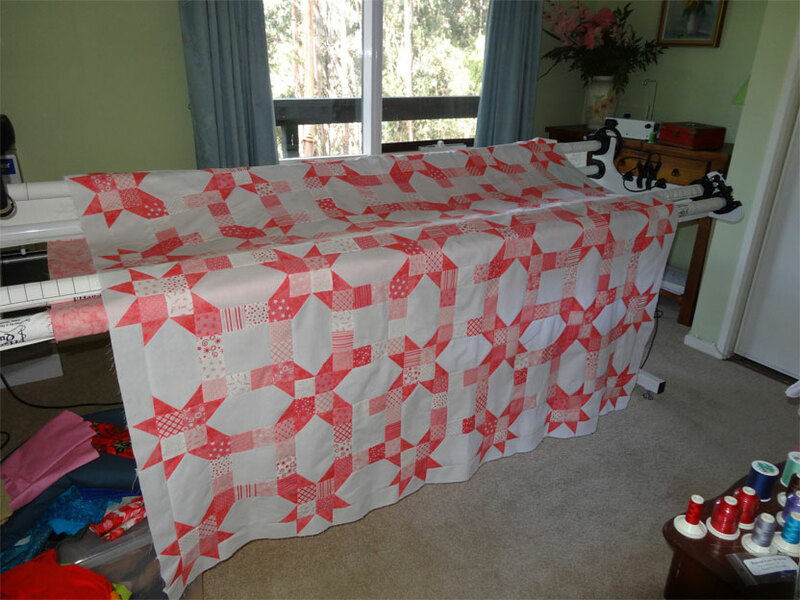 It's a good size - 61" x 73" - and the materials Gail B's put in the kit are high quality, so I'm sure that quilt will last a lifetime. Quilt 24: Hawaiian Petroglyphs - DONE!